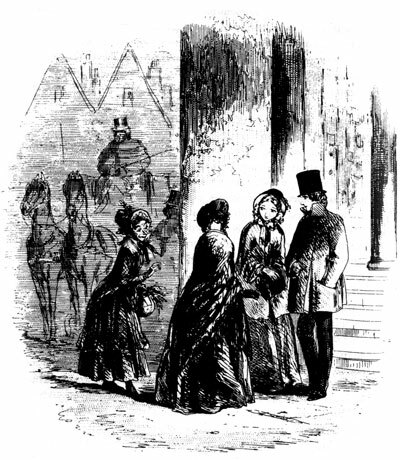 The book that is in so many ways Dickens' greatest is also one of his most perfunctory. Usually you think of the last chapter of a Dickens novel as a meticulous tying up of loose ends, but here Dickens has a better idea and leaves much of the plot hanging. Where does Mrs Clennam live? Does Arthur ever find out she is not his mother? What is his real mother's name? Rigaud is a curious creation. All good people, within the book, find Rigaud disturbingly horrible, a mere spider to be scotched. Yet what evil does he really do? Apart from the murder of his wife, supposed to have taken place before the novel begins, he appears before us only as a spy who indulges in a bit of blackmail. And at least Rigaud's small-time meddling finally brings out the concealed truth, in that operatic scene at Mrs Clennam's house. The concealed truth is not quite what we might have expected. We might have imagined these long-awaited revelations would have some bearing on the ruin of William Dorrit, but in fact there's hardly any connection. The revelations are complicated and not very interesting: what we remember instead is the hypothetical story we contemplated while reading: the one in which Mrs Clennam takes Amy Dorrit into service because she is somehow responsible for Dorrit being in prison... but that's a figment of our (and Arthur's) imagination. Rigaud has another, poorly organized, function. At one point the plot goes quite distracted in sending various parties in search of a Rigaud who has "disappeared". No-one ever explains what this means. In what sense has Rigaud disappeared? It's not as if he has disappeared from his home, because no-one knows if he has a home or where it is. And why are Mrs Clennam and Flintwinch so anxious to find him, anyway? Wouldn't you be happy if your blackmailer disappeared? Despite this, Arthur Clennam is intensely interested in tracking down Rigaud, though he apparently forgets all about him as soon as he's found; if he subsequently asks any questions about the outcome, and how he's answered, we don't know. More improbably still, Flora Finching interests herself in Rigaud's "disappearance" and, against all the odds, even infects Mr Dorrit with mild curiosity. The scene in which William Dorrit visits Mrs Clennam is the most distracted in the book. The two characters come together in Mrs Clennam's room and have nothing pertinent to say to each other, as if they don't really know why the author has brought them together. Nobody ever refers to the scene again. 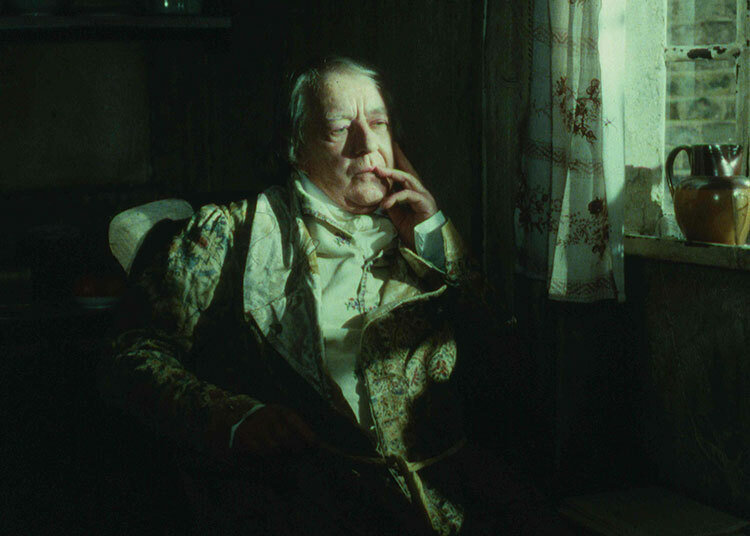 In Christine Edzard's six-hour movie she had no use for Rigaud. Or, more disappointingly, for Tattycoram, one of Dickens' most astonishing discoveries. And obviously you can't do a lot with the Alps when you're filming in a London warehouse. 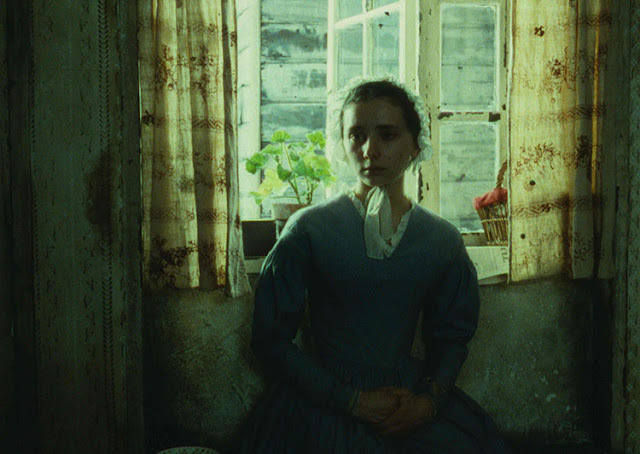 But her film is a masterpiece, and also the most faithful of adaptations, especially in two respects. First, it gets the spatial sense of the book right: this book that begins not with November fog but with the staring tiles on the roofs of Marseille; it's a psychological space that's both crowded and strangely empty; a far more more modernistic space than Bleak House. 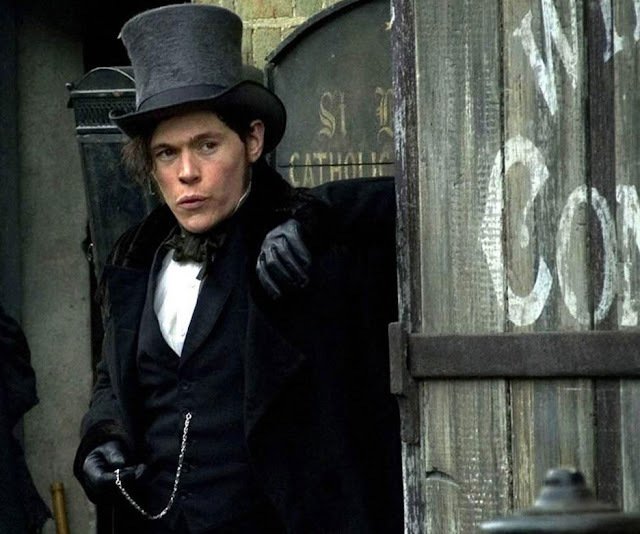 Second, the film is almost alone among Dickens adaptations in choosing to perform the book's conversations just as Dickens wrote them (more or less) and to leave further clarification to chance. Little Dorrit, as we're apt to forget, is a historical novel. It's set in the early nineteenth century, when pen-knives were still used to sharpen quills. By the mid-nineteenth century the steel nib made this use redundant, but the name clung on; people were still using pen-knives, e.g. to sharpen pencils. 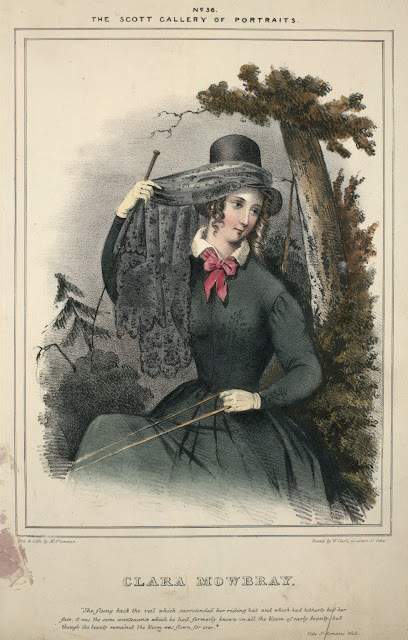 Fanny's knife was not necessarily a folding knife, though it may well have been. (This information comes from https://regencyredingote.wordpress.com/2010/01/08/a-pen-knife-was-not-always-a-pocket-knife/). In Balzac's story "The Maranas" (1832), M. Diard commits a murder with a mother of pearl handled fruit knife. 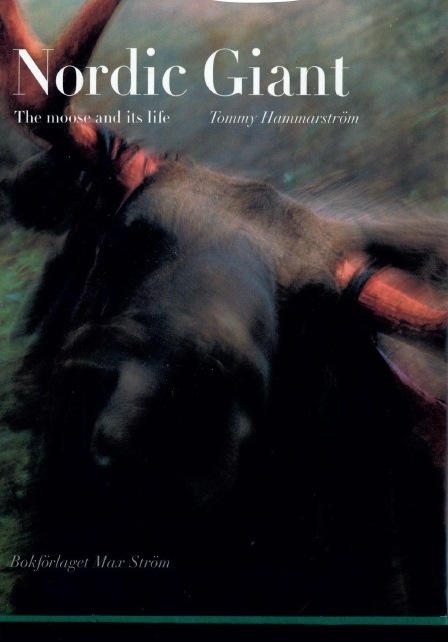 Here are a few notes from reading Nordic Giant: The moose and its life, a big illustrated book by the naturalist and hunter Tommy Hammarström (2004, translation by Kim Loughran). These high figures are probably unprecedented in Sweden's history. In general the elk stock has been weak through the past few centuries, especially after 1789 when Gustav III, keen to constrain the power of the nobility, abolished their exclusive rights to hunt elk and other big game. This exposed the elk to a rural peasantry that were growing in numbers and very hungry. The result was mass slaughter, especially in winter on crusted snow. Meanwhile countryfolk allowed to kill edible game now neglected the mandatory wolf-cull. Wolves increased, and in the absence of elk began attacking cattle. Despite several long moratoriums on hunting and the beginning of modern game laws (which were fiercely resisted; poaching flourished), the elk population remained very weak through the nineteenth century. Not until the mid-twentieth century did the elk recover to something like its "natural" level, around 50,000. Then an unprecedented population explosion occurred in the 1970s, apparently as a direct result of industrial forestry, specifically the practice of clear-felling, which led to a vast increase in Rosebay Willowherb and Wavy Hair-grass, the elk's favourite summer foods. (In 20 years, beginning in the late 1950s, around a third of Sweden's forests were clear-felled.) Even we casual summer tourists began to notice elk now and then; my mother in her youth had never seen one. Hammarström says that the elk population is already declining from this peak (all these figures, of course, are from 2004). The hunt, too, is in some danger of decline. It means long, cold hours alone at your post, mostly sitting dead still. With the continuing drift to the towns and a lack of interest by the young, the hunters themselves are now an ageing bunch. Tommy comments on these age demographics, but not on the fact, unmentioned by him but apparent from both text and images, that the hunt is an all-male affair. On the first page of The Girl Who Kicked The Hornet's Nest, Stieg Larsson parenthetically remarked: "Even today, it can cause controversy having a woman on a typical Swedish elk hunt." 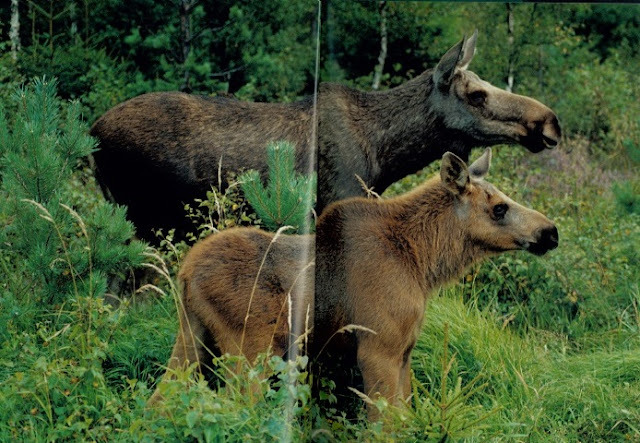 In autumn, elk eat blueberry leaves, but not lingonberry leaves. They also eagerly eat apples in the south, though these are not a very suitable food for ruminants. In winter, they survive only on pine-needles, precariously keeping their stomach bacteria alive by recycling urea into the saliva. (They have no use for spruce, the other main Swedish conifer.) The main drive to cull elk is their damage to young pine plantations. Though another would be the high number of road accidents they cause. These days the approved practice is to shoot the calf and leave the cow. A single calf, whether she has one or two. In the north of Sweden there are numerous prehistoric petroglyphs. (2,500 at Nämforsen alone.) 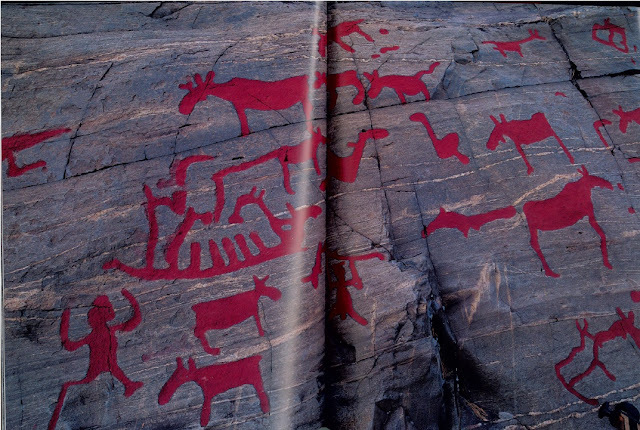 The vast majority are of elk, with a sprinkling of other animals, birds and human figures. A curiosity pointed out by Hammarström is that most of the bulls have no antlers (a bull can be identified by its large dewlap, e.g above, top right). This identifies them as "winter elk" (January-April). Yet in all probability the carvings (from around 4,000-1,000 BCE) would have been made in the summer. Gaskin = muscular part of hind leg, between the stifle and the hock. Bleak House is I suppose universally acknowledged to be one of the great masterpieces of a great genre. When such reputation overtakes a large-scale work of art, it sometimes gets in the way, not of reading it, but of talking about it. We begin to interpret the intense power of the opening pages as being about the announcement of a great work of art – just like we do when we hear the opening notes of the 5th, or the 9th. But Bleak House lives most securely in its manifold details. Innumerable children have been born into the cause; innumerable young people have married into it; innumerable old people have died out of it. Esther’s narrative exists to put meaning into that sentence. The other narrator, with his universal present tense, gives us something that occasionally suggests film noir both in its predilection for chiaroscuro and in its dramatic presentation. Esther by contrast gives us time and memory, grief and meditation. The two together give a span of life from infancy to senility, and a span of society from the brickmakers’ women to Lord Boodle and Sir Thomas Doodle. The chapters titled “Esther’s Narrative” appear to describe a smooth tenor of life, but this hides chasms. The pseudo-family life that is idealistically and eagerly constructed by John Jarndyce is provisional; it has to be maintained by means of a strict code of forbidden subjects, and relieved by certain licensed euphemisms about Growleries and east winds. Take Chapter XVII as an example. The first sentence tells us that Richard “very often came to see us while we remained in London” and “was always delightful”. The following sentence begins with “But”. Esther diverts her uneasiness into sensible ideas about the defects of Richard’s education; but I think it's always rather comforting to be critical only of what lies in the past. Then the Bayham Badgers visit. We are sufficiently prepared for the failure of Richard’s career as a surgeon to know exactly what Mrs Bayham Badger is going to tell us, though it’s prefixed by a hilarious parade of Swossers and Dingos (her audience growing more and more uneasy in the mean while..). The couple’s ridiculousness is offered to us as a possible means of avoiding the serious problem about Richard that they eventually expose. Esther doesn’t accept the invitation to avoid it: “we resolved to have a very serious talk with him”. (I think this sentence really means “Esther resolved...”.) Ada, when the subsequent conversation is reported, is half-inclined to fall in with Richard’s evasions, but eventually even she puts him on the spot. He mustn’t go on with his studies in such a lackadaisical manner. It’s high-minded, but probably unfortunate, because Richard is thus persuaded into articulating the very thing that no-one wants to hear: “I have been thinking that the law is the boy for me.” And now they have to help him – even John Jarndyce. After the matter is broached, a tension waits in the room. Ada says: “Cousin John, I hope you don’t think the worse of Richard?” – and he says “No, my love”. But Jarndyce is capable of concealing things from those he loves. He turns the awkward moment into praise of Ada. Like Esther, he adores her (he calls her “my rosebud”; Esther calls her “my pet”). But there is not much to support the view that she really possesses any useful virtues – her constancy is helpless, a child’s. The evening ends and Esther is alone, “wakeful and rather low-spirited”. She is coy about this; we might think it has something to do with Richard’s fateful decision, though it’s in fact because of Allen Woodcourt’s imminent departure, which we don’t yet know about. Late at night she goes in search of a piece of silk for her “ornamental work”, and finds Jarndyce with his hair ruffled and his book cast aside. “You have no trouble, I hope, to keep you waking?” Esther asks. He replies: “None, little woman, that you would readily understand.” The implication of her later comment (“Not for many and many a day”) is that it concerns his feelings for her, though again the thought of Richard nags at us. In the mean time he decides to tell Esther (who has been prepared to avoid the subject) what he knows of her history. Characteristically, her response to this intensely serious material is not as we might anticipate: “I opened my grateful heart to Heaven in thankfulness for its Providence to me...” We begin to understand that Esther’s religiosity is a way of smothering feelings that are too powerful to admit. The chapter ends with the visit of Allen Woodcourt and his mother, who looks meaningfully at Esther and talks of “birth”. The lightness of the comedy, like that of the Bayham Badgers, does not conceal its disturbing subject. Finally Caddy brings a bouquet, which turns out to be a tacit message of love from Woodcourt. Caddy puts the flowers in Esther’s hair – Esther automatically tries to take them out. It’s safer to belittle herself – she is Dame Durden, she does not have lovers or bouquets. Everyone knows that Esther’s narrative is evasive in certain respects; principally, her coyness about Allen Woodcourt and her refusal to accept that there is any sense in the glowing tributes she reports. Both features have proved highly annoying to readers, but Dickens didn't intend them purely as charming mannerisms. In fact her whole narrative is in code, like Jarndyce’s eccentric likes and dislikes. Indeed every member of the Jarndyce “family” is busy with a certain amount of day-to-day evasion; but Jarndyce and Esther are the most continuously engaged in it. That the book ends well enough for them suggests that their evasiveness may, after all, be a sane and sensible way of proceeding. The work-basket and the cast-aside book are props; they do not need to labour, but can attempt something more delicate; they can try to defend an island of quietness. or the pursuit of Lady Dedlock. Dickens goes to considerable pains to conceal the changes that these decisive steps produce; and not just because he doesn’t want to lose any readers along the way. But even now I am generalising. Here is a memorandum of some sentences and passages that, on a fourth or fifth reading, provoke something more substantial than wonder. “Oh dear me!” remonstrated Sir Leicester. Not so much shocked by the fact, as by the fact of the fact being mentioned. “WHICH?” says Jo, in the last degree amazed. [When Dickens was sent a copy of Scenes of Clerical Life in 1858, he acutely commented (re the apparently male author George Eliot), "I believe that no man ever before had the art of making himself, mentally, so like a woman, since the world began." According to the great John Diamond, Scott's prose is, like his verse, cantillatory. (See A Book of Cantillatory Poems, 1985). I have not muscle-tested, but I should imagine that St Ronan's Well is Scott's least cantillatory novel. Something expected is missing. Maybe the fundamental good-heartedness we depend on to carry us through such otherwise mediocre performances as, say, The Pirate or The Betrothed. As a first-time reader, an admirer of other Scott novels, I found St Ronan's Well sour, unenchanting, bizarre, and rather well-written (i.e. in sharp contrast to its predecessor Durward). I found the plot somewhat confusing and distinctly unbelievable (it is based on arbitrary injunctions in a will), and I thought the novel spent far too many pages on those almost indistinguishable young gentlemen Francis Tyrrel, Lord Etherington (Bulmer), Harry Jekyl and Mowbray. (Distinguishable morally, certainly. But only morally.) Unusually for a Scott novel, I thirsted for a bit more digressiveness, anything to get us away from these stereotypical rakes. -- Actually, I wouldn't so much have minded a bit more of the good Francis Tyrrel, who almost drops out of view after the early part of the book, along with the excellent Meg Dods. I read the book in its traditional form, and this leaves a sense of vague puzzlement around Clara Mowbray. Why exactly is she quite so deeply ashamed of having been tricked into a fraudulent marriage? And how to account for the anti-climax of Hannah Irwin's confession when it seemed to contain nothing we didn't already know? But I don't suppose my vague puzzlement would really have solidified into a conscious question - I just set it down to Clara's morbid sensibility or disturbed mind - had I not read about James Ballantyne's insistence on Scott changing his original story-line. Lockhart mis-remembered that original story-line, and it wasn't until 1893 that the true details emerged. According to this original story-line, Tyrrel and Clara (in the tempting situation stage-managed by Hannah) had been led into anticipating their imminent marriage. Thus Etherington's impersonation at the altar was a cruel one; it left Clara high and dry, dubiously married to one brother, having already yielded her virginity to the other. The recent scholarly Edinburgh edition restores the original text, on the reasonable grounds that Scott had been extremely reluctant to alter it and thought the novel much weakened as a result. Doubtless Scott was right. Unfortunately, at £80 a shot it's pretty unlikely that any reader will discover St Ronan's Well for the first time through this edition! Since I've been a Scott fan for many years I had of course heard a good deal about St Ronan's Well, but I hadn't really taken it in. And I had developed certain misconceptions. The first misconception was that it's the only Scott novel set in "the present day". Now in fact that was Laidlaw's suggestion, in the 1823 conversation reported by Lockhart as having supplied the germ of Scott's next novel. But Scott didn't entirely stick to Laidlaw's suggestion. It's true that St Ronan's Well is his only book set in the 19th century, but the setting is, nevertheless, some years before the date of publication. The introduction implies that the story is set around 20 years before the present day. At the end of the novel, a mention of Tyrrel's departure for the Peninsular War suggests a date of around 1809, i.e. about 14 years prior to the date of composition. Compare that with The Antiquary, which was composed in 1815-16 and set in 1794; a gap of 21 years. Not very much to choose between them, really. In The Antiquary Scott had described Edie Ochiltree, the licensed mendicant, as the type of a once-familiar character who had now disappeared from Scottish life. Here he uses similar expressions of Meg Dods, that good-hearted tyrant of a landlady. Yet the impression left by the two novels is very different. Ultimately, St Ronan's Well is, like its characters, singularly uninterested in history. It does contain a student of the past (Cargill) but Scott is not in the mood to enliven us with Cargill's pedantries, so we never get to find out what interests him. No other novel by Scott is as indifferent to the ground it walks on. Nevertheless, there's a number of things in St Ronan's Well that do recall The Antiquary in particular. These include: a hero who virtually disappears from the second half of the novel; the challenge and fighting of a duel; the dubious practices of the local post office; the death-bed confession of an ancient servant complicit in a past crime. My second misconception was that St Ronan's Well is a satiric comedy. It does seem at first as if the book is heading in that direction, but Scott found it difficult to sustain a narrative in that mode, and the later part of the book is almost entirely confined to the Mowbray/Etherington plot, which culminates in the tragic death of Clara Mowbray. So St Ronan's Well has certain, rather faint, connections with Scott's two other tragedies, The Bride of Lammermoor and Kenilworth. It is shocking to read that part of Scott's intention in St Ronan's Well was to try his hand at the kind of thing written by his admired Jane Austen. His novel only escapes this most damaging comparison because he fails so comprehensively that we never think about Jane Austen at all. Yet the episode around the Shakespeare-tableau (perhaps the most surprisingly un-Scott-like in any of his novels) was, I imagine, influenced by the theatricals in Mansfield Park. The legend communicated by Andrew Lang, of a group of distinguished gentlemen who each wrote down the name of his favourite Scott novel on a slip of paper, only to find on comparison that they had all written the same name: St Ronan's ... The story is completely unbelievable, but you can see why it came into existence. It expresses the baffled feeling that St Ronan's Well really ought to be the outstanding novel that it so plainly is not. It has all the ingredients. Scott was still at the height of his powers, as his subsequent novel Redgauntlet would amply demonstrate. And yet... It's a strange one all right. Born Ann Ward, in Holborn 1764, d. 1823. So she used her first name ("Ann" was already a very common spelling, in case you were wondering) and her husband's surname. Her critical reputation in the 1790s grew, but not without controversy. Coleridge, for example, slated Udolpho on two occasions, though he later spoke up for The Italian. (Wordsworth despised the "Radcliffe school" altogether.) But she was admired by Hazlitt, Barbauld, Scott and Hunt. After her death, she began to be named, when formally introduced in a title, as "Mrs Ann Radcliffe". This was the form used by her obituary-writers and also by Scott ('Prefatory Memoir to Mrs Ann Radcliffe' for Ballantyne's Novelist's Library series, 1825; reprinted in Miscellaneous Prose Works vol III, pp. 337-90). Subsequent to that first introductory mention, the writers then refer to her as "Mrs Radcliffe", e.g. throughout the text of Scott's brilliant essay. This is perfectly in accord with the conventions of that time; living or recently-deceased authors should be named "Mrs Smith" or "Mr Collins". Only once an author had been firmly established in the canon did they become unprefixed authorities: e.g. "Dryden", or "Fielding". But in 1825, shocking as it is to say, there were as yet no recognized canonical works of English literature by woman authors. Lang's title struck a chord. Though his essay is in fact perceptive and enthusiastic about the novels, yet the primary meaning connoted by "Mrs Radcliffe" in early twentieth century usage is "a sensational author, once extraordinarily popular, now deservedly unread". No doubt it added a bit of extra spice that the forgotten author was a woman. As Germaine Greer pointed out in Slipshod Sybils, woman authors were particularly prone to become the sensation of one season and the jest of the next. That's merely the shape of misogyny. "past reason hunted... past reason hated..."
Disparagement of Radcliffe may, perhaps, be considered a sport authorized by Jane Austen's Northanger Abbey. It still shows up in Michel Foucault's "What is an Author?" 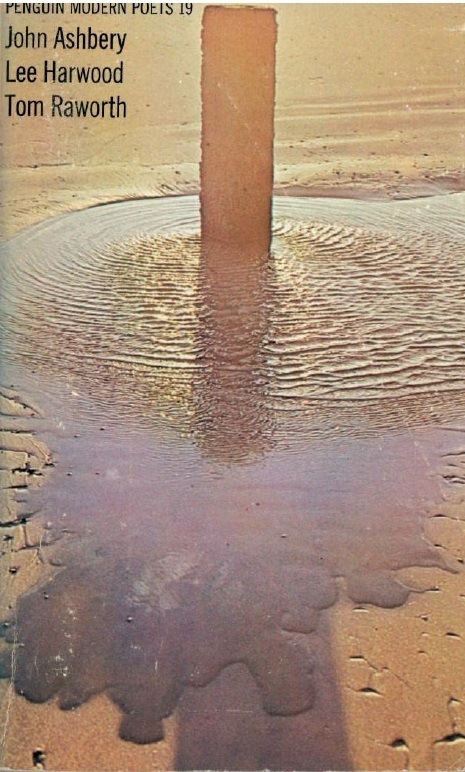 (1969), where he contrasts the undoubtedly seminal Radcliffe with Marx and Freud. Foucault claims that Radcliffe's work yielded a rich legacy of motifs that could be redeployed by other writers, but Marx and Freud, the "founders of discourse", created possibilities that went far beyond their own achievements: the seeds, even, of the arguments that would eventually refute them. Foucault's argument doesn't stand up to much scrutiny, but it's interesting that he chose Radcliffe to make it, rather than, say, Flaubert. It was a choice that meant he didn't have to spend too much effort arguing the literary toss; Radcliffe was already accepted as typifying the author who is influential without being great. There was some agreement that Radcliffe had founded a "school". She's without doubt the key influence in Scott's conception of what a novelist can be. If he was the wizard of the north, she had been "the enchantress". The Mysteries of Udolpho is set well back in the past (1584) but its concern with history is impressionistic. As editors have pointed out, the lifestyle of Emily is pretty much that of the late 18th century. Nevertheless, there's enough here of the potential excitements of a historical setting (e.g. the armies criss-crossing Italy) to have inspired Scott. And it should be said, Radcliffe writes remarkably strong dialogue for her colourful rough types like soldiers and banditti. (Gil Blas in the background maybe?) Emily's conversations with the sentries on the battlements of Udolpho are excellent. Best of all is the menacing conversation of Ugo and Bertrand during Emily's scary journeys away from and back to the castle. Of course Radcliffe influenced many authors besides Scott, both major and minor, in the heyday of romanticism. Listening to Udolpho, Byron was another name that came to my mind pretty swiftly. In her descriptions of the Pyrenees, cedars are mentioned several times (not native to mainland Europe); so are larches (not native W. of the Alps). Palms are mentioned too, growing high up on mountains - this cannot mean the shrub-size palmito, Europe's only native palm. It's clear that here as in some of her mentions of the local flora Radcliffe is using her imagination. Putting together a description of Mediterranean scenery, she uses tree-names like counters: cork-oak, cedar, chestnut, larch. The latter is also used for panelling and furniture: she mentions "black larch" several times; as far as I can work out from the internet, it looks like she invented this concept (it clearly has nothing to do with the American Larix laricina). I'm not perfectly convinced that she knew what a larch looked like. But other Mediterranean descriptions, e.g. of the ruddy autumnal vines in the valleys, and the sub-montane chestnuts, the fragrant thyme and other mountain herbs, the summer thunderstorms, etc. carry plenty of conviction. In the same year that Udolpho was published, Ann and her husband finally went on their travels, but not to Gascony or the Pyrenees. She published an account of them, which is well worth a look: A journey made in the summer of 1794, through Holland to the western frontier of Germany: with a return down the Rhine: to which are added Observations during a tour to the lakes of Lancashire, Westmoreland and Cumberland (online text). Scott, with the acuteness of an interested fellow-practitioner, has much to say about Radcliffe's rational and often disappointing explanations for the numerous mysteries that pepper her story. Sometimes these explanations appear so insufficient to account for the uncanny and terrifying experiences we have shared with the heroine, as to seem like cheating. 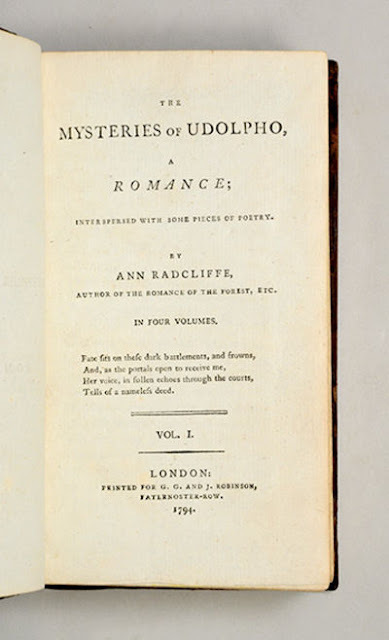 Scott argues that the problem with Radcliffe's approach is that her novels don't bear re-reading: no-one is going to feel the thrill of Udolpho's uncertainties when they recall that the resolutions, some of them anyway, are so mundane. (I'm just finishing re-listening to Udolpho, and of course Scott is right about the mystery-elements losing their grip, but there are significant compensations.) As I argued recently, Fielding's Tom Jones is an enriched (though very different) reading experience second time around. Radcliffe's concerns are different from Fielding's. What matters in Udolpho is the initial impression, the experience of the uncanny and terrifying. The ultimate explanations are comparatively unimportant. The sense of disappointment is perhaps less for a modern reader, who isn't likely to feel violently agitated by Radcliffe's mysteries in the first place. Speaking for myself, I didn't object much to the paltry explanations, the occasional lack of explanation (through oversight, I suppose), or even the eventual realization that the whole castle of Udolpho section has been nothing but a gigantic digression from Emily's main story-line, and that Signor Montoni once at the castle has only very fitful designs on her. None of these things really matter. There is still plenty of real story with real distress (think of the death of St Aubert, the attempts by Montoni and Morano to bully Emily into a marriage against her will, and the more-or-less-murder of Emily's aunt). But more interesting still than these meaty plot-lines is how Radcliffe's atmospheres and terrors are a kind of extended image of the life of any young woman under arbitrary patriarchy. Radcliffe's writing abounds in often-repeated motifs and phrases. Another example, during the Venice chapters, is "to indulge one's melancholy feeling". Emily longs to be left alone in order to etc.. A page or two later, Valancourt's letter shows him doing the same at La Vallée. To "indulge" (feelings or reveries) is a very central part of Radcliffe's language. Soon after, the peremptory Montoni says (more than once) that he is not to be trifled with. You might describe it as his catch-phrase, he says it so often. But it's rather strange to hear (not long afterwards) Emily begging a loquacious Annette not to trifle with her. The point is that in Radcliffe's world these important motifs transcend individuals. We see that the same motifs recur throughout society. What we have to do with here is, to a surprising extent, a social novel. Most people, designing a tale of terror such as Udolpho, would probably think of the master of the castle (Montoni) rapaciously pursuing his wife's pretty protégé (Emily). That's a story-line that Radcliffe resolutely resists. She portrays Montoni as immoveable, heartless, and entirely indifferent or hostile to all women. His cutting short of old Carlo's attempts to talk about his dead wife is characteristic. He shows no sign of being attracted to Emily. He does, it turns out, have a regular mistress of his own, but that seems to be mainly a matter of drunken revels, of unspeakable things that Emily is terrified of witnessing. We have no sense of the way Montoni and his mistress might talk with each other. For Emily, Montoni is simply the ultimate nightmare of a peremptory patriarch. Risen to a complete power over Emily that is founded on no tie of affection, nor even long acquaintance, Montoni commands her, menaces her, and otherwise demands complete silence. Most of the time she spends in the castle is spent in isolation. Most of the rest with female company. At Udolpho, the disquieting second entrance into Emily's bed-chamber emphasizes that she now has no power even there. Curiously, this perception is eventually liberating. Chiefly because it brings her into closer intimacy with the irrepressible maid-servant Annette. Annette is, definitively, a talker; when Annette starts to occupy centre-stage, the reader experiences a palpable sense of relief. The most important of Radcliffe's repeated motifs is non-communication. We've seen one aspect of that in Montoni's tyrannous demands for silence. The fire was now lighted; Carlo swept the hearth, placed chairs, wiped the dust from a large marble table that stood near it, and then left the room. Montoni and his family drew round the fire. Madame Montoni made several attempts at conversation, but his sullen answers repulsed her, while Emily sat endeavouring to acquire courage enough to speak to him. At length, in a tremulous voice, she said, 'May I ask, sir, the motive of this sudden journey? '—After a long pause, she recovered sufficient courage to repeat the question. Emily rose to withdraw. 'Good night, madam,' said she to her aunt, with an assumed composure, that could not disguise her emotion. In fact, Montoni can even command silence at a distance. Many are the whispered warnings (chiefly to the loquacious Annette) that such-and-such a piece of talk would make Montoni angry. But non-communication is often self-imposed, too. How often do we hear such phrases as "It is unnecessary for me to add", "I need not say", "Spare me the necessity of" etc etc. You wonder if there's an element of willed non-communication in the convention that strong emotion (chiefly Emily's and Valancourt's) leads to inarticulate states of faintness and tears, resistant to coherent speech. Spare me the necessity of mentioning those circumstances of your conduct, which oblige me to break our connection forever. But I think there's much more to it. The obsessive throttling of free dialogue rings decidedly true as an essential habit of Emily's way of life, where scrupulous observation of conventions is a substitute for the power of self-determination. And where, in any case, it's an understood thing that the deepest feelings resist statement. No book lays more emphasis on feelings of delicacy, the pain of statement and the shunning of "intelligence" (i.e. conveyed information). 'I commend your prudence,' said Emily. 'Good night, and accept this from me,' she added, throwing him a small piece of coin, and then closing the casement to put an end to the discourse. It takes a long while for Emily to trust Annette and then Ludovico openly, though they are her salvation. The point is that Radcliffe shows us that the imposed limitations of a woman's life under patriarchy tend to become, after a while, self-imposed limitations. What about the rest of St Aubert's legacy? In life he has always controlled the flow of information to his daughter, and on important matters he's been extremely secretive; she has imbibed this to such an extent that she considers it quite normal and feels guilty if she ever finds anything out. Dying, he extorts from her a promise to burn papers unread, thus leaving her in an ignorance that does nothing for her peace of mind. He also places her under the protection of her aunt Mme. Cheron, which is a catastrophic error. These are not Emily's judgments; she would be shocked by them. But the novel makes you think about it. Late in the book, Emily does a bit of quasi-patriarching of her own, hearing Annette (whose beloved Ludovico has just reappeared as from the dead) with "extreme impatience", and peremptorily ordering a visitor to be turned away on no other basis than her own (mistaken) assumptions. As a pioneer of the mystery story Radcliffe tried out various things that subsequent authors mainly eschewed. There's a particular kind of indirection that comes out in e.g. the planet that appears each evening at the time of the music. Radcliffe sees no need to name the planet, and its behaviour doesn't sound right in the long term, though of course the recurrence of a planet at the same time of night (-ish) is something we often experience over a period of a few days or weeks. Similar to this is the motif of hearing a distant voice or groan, yet the text not telling us whether the voice appears to be male or female. This intentional cloudiness operates in unexpected ways: it transforms described experience into a subjective material. It puts us in touch with a mystery deeper than any that Radcliffe explains. It wouldn't be ridiculous to claim Radcliffe as the inventor of the poetic novel. She initiated the use of poetic quotations as chapter-epigraphs, which Scott refined further. Unique to Radcliffe is the liberal use of original inset poems. At its best, as for instance in the marvellous final chapter of Udolpho (vol 4 ch 18), the patterns made by this intermixture compose a structure that we notice and contemplate, in which the narrative is only one strand. Scott at his best can do that, too. Annette is a variant on the well-established literary type of a loquacious and materialistic servant, though I think Radcliffe's novel allows some questioning of that convention. Annette's attempt to convince Emily of the ghost on the battlements by showing her the very cannon beside which it appeared, is a stock joke. It appears in Shakespeare (2H6 4.2.141). Dickens thought it good enough to use on the first page of Barnaby Rudge. The Librivox rendering of The Mysteries of Udolpho is a fine thing. Many readers, mostly excellent; notable work by Michelle Crandall, Martin Geeson, Anna Simon, "redabrus", Andrew Drinkwater, Lucy Burgoyne and Sheila Morton among others. Stephen Gallagher's 2002 proposal for an Udolpho movie is fascinating and full of insight. Interesting to see how his proposed screenplay enhances the sexual threat of the castle, and also how he develops the character of Du Pont. December noon. Two layers of ragged cloud, the upper one bright white, the lower clay-coloured. The sky blue, but not brilliant blue; the greyish blue of a vase or ash-tray on which, perhaps, white geese can be seen in flight. Frimärk. Me and a whole lot of other writers too. Negotiating this huge brain-dump isn't easy. My poem is near the top of page 11. Knight of black and white, righter of cherry trees, slow leaver of coffee cups, waiter on none but the big screen before big got to imax it, before Besson, Béart or that infamous man with the big nose. Zoom to seen in colour, then on to words lifted from a printed page. Sovereign of oranges and zest, of dresses on the floor and song birds in barred cages. Forecaster of war and all the rain in Brest. Reeler of the real, crowned in cigarette haloes – smoke that curls like the River Seine, like the discarded peel in Alicante, as vin rouge on the tongue, la belle langue in the throat, my future loves whirring through his hand – some decades before I know them – and the off-cuts purring at his feet, spooling unscripted. CIA music in a stolen Thunderbird. lost in an age of speculation and sepia postcards. This year's Christmas album of songs by me, Evert Taube, and others.